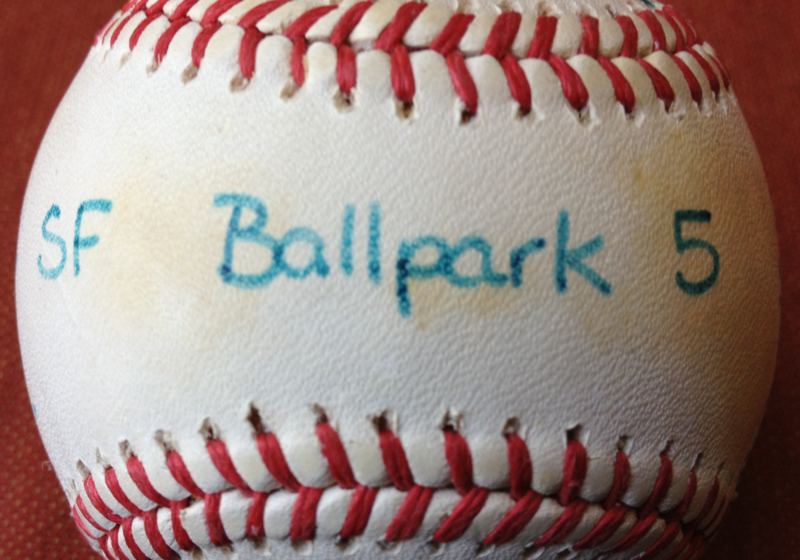 Most sports memorabilia recall a favorite game or player. The autographed baseball sitting on my desk is different. The autographs belong to the group that dubbed itself the SF Ballpark Five — Gregg Lukenbill, then owner and managing partner of the Kings; Maurice Read, his spokesman; and political consultants David Townsend, Jack Davis, and Richard Schlackman. Amid all the huffing and puffing in Sacramento about who or who's not giving money in the fight over the proposed subsidy to the Kings and their wealthy owners, their signatures recall a day when the Kings ownership itself was the shadowy "outside" force siding with taxpayers against sports extortion. It was 1989 and the extortionist in question was Bob Lurie, owner of the San Francisco Giants. He was threatening to move the team to Tampa or some other eager town if the taxpayers of San Francisco would not build him a new stadium to replace the wind tunnel known as Candlestick Park. Mayor Art Agnos led the charge with a measure to do just that for the November ballot. Unfortunately for the extortionists, the San Andreas Fault choose the wrong moment to slip. On October 17 the Loma Prieta earthquake knocked down a portion of the Bay Bridge, damaged San Francisco's Embarcadero Freeway, and destroyed blocks of houses in the Marina District. Agnos briefly put the ballpark subsidy push on hold but then resumed campaigning. Opponents of the deal replied on the final weekend with a mass mailing suggesting that, what with the earthquake and all, the city might just have more pressing uses of tax dollars than lining Lurie's pockets. Lukenbill denied any involvement. And despite Agnos's charges and the Chronicle's ranting, San Francisco voters turned down the subsidy plan. Maurice Read, his spokesman, and David Townsend, the Sacramento political consultant, had met Davis and Schlackman, managers of the campaign against the subsidy, for lunch in San Francisco on September 29. They learned that the campaign was winnable but needed money for opposition mailers. They relayed the news to Lukenbill, who was deeply committed to building a privately financed stadium to bring the then-LA Raiders and baseball to Sacramento. Lukenbill knew that if the Giants stayed in San Francisco the team could block any competitor from locating in Sacramento, within its monopoly 100-mile territory. To improve Sacramento's chances, he called business associates and asked them to donate to opponents' campaign. One of them, a Woodland steel manufacturer, made a $12,500 contribution reported the day before the election. "I made a few phone calls to protect Sacramento's interest in potentially getting a baseball team here," Lukenbill admitted months later. "I'm not ashamed of that. I'm proud of it. I want baseball in Sacramento and I'm proud of it and I'm not going to back off of it." What Lukenbill didn't know was that Agnos and the Giants, their campaign failing in the wake of the earthquake, had been tipped off to his possible involvement within days of the first contact with the opponents, and had been itching to use the "outsider" threat in a last-minute push. Nor did he know that Agnos was a bad loser. The mayor urged San Francisco District Attorney Arlo Smith to prosecute his opponents; Smith, hoping to goose his campaign for state attorney general, complied. He got the grand jury to indict Lukenbill and the rest of the Ballpark Five on the incredible theory that their efforts to help the anti-subsidy campaign constituted a conspiracy to create a campaign committee that had failed to report its existence. Having failed four times in five years, first in San Francisco and later in San Jose, to get voters to buy them a new stadium, the Giants, under new ownership, gave up their extortion bid and built their own privately financed ballpark. The team has gone on to win two World Series. Having protected their public resources for investments more potent than subsidizing sports owners, San Francisco and San Jose are now among the most economically buoyant big cities in the world. When the Ballpark Five reached court, the judge dismissed the case, saying there was no evidence any laws were broken and no grounds for the grand jury's indictment or the district attorney's pursuit of the case. Dogged by the judge's conclusion that he had been engaged in a political prosecution and hurt by revelations that he had sought to speed up the case to help his campaign, Arlo Smith was defeated in his campaign for attorney general. The baseball on my desk freshly reminds that, in politics as in sport, the game is hardball, and though everybody mouths the bromide about "it's how you play the game," the spitball your side throws never seems as wet as the one loaded up by guy in the other dugout. What is the appropriate tip to leave to Sacramento Mayor Kevin Johnson for so ably driving up the sales price of our Sacramento Kings basketball franchise? We do not wish to appear gauche or ungrateful. The Sacramento Bee asked me for my take on the question of whether Sacramento ought to spend $200 million to subsidize a new arena for the Sacramento Kings and the National Basketball Association. You can read my answer on the Bee’s site. The Bee gave me only 800 words, so I wasn’t able to flesh out the argument as well as I would have liked. Fortunately, we have the web for that. If you want to understand the economics better, you can check out the longer reporting piece I wrote for the Bee when I worked there. The most accessible book on the subject is Neil deMause and Joanna Cagan’s splendid Field of Schemes: How the Great Stadium Swindle Turns Public Money into Private Profit. Neil deMause also runs a companion web site, Field of Schemes, where he tracks and analyzes the money grabs of welfare-seeking sports owners around the country. Given more space, I would have also repeated what I wrote here last spring: The best way to limit the extortion game is for the California Legislature to prevent the billionaire sports owners and their leagues from playing city against city. It should ban any local jurisdictions from using public funds to subsidize professional sports teams. California is at a critical moment on this issue. The extortionists are on the attack right now all over the state: Sacramento, San Diego, Santa Clara, Anaheim, Los Angeles. 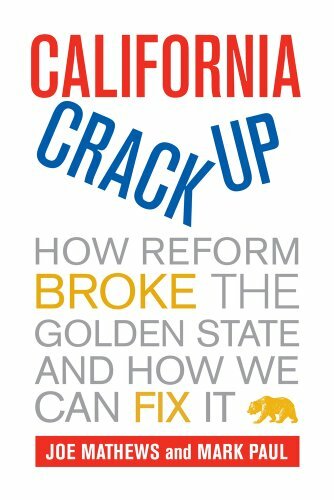 But as we all know, from the news and daily life, core California public services reducing the state’s quality of life. Every public dollar extorted today steals from California’s future. Ideally, local politicians would do the right thing. But there’s something about sports that makes them go weak in the knees and soft in the head. (My wife blames it on testosterone poisoning.) They need to be saved from themselves with a law that protects them against their worst instincts. That law would set budget priorities right at a time when we need to be putting first things first. But it would also send a bracing message to the rest of the country. If California cities, home to one in eight Americans, can no longer be used as leverage in the extortion game, other states will gain some protection, and perhaps even be encouraged to protect their taxpayers as well as California does. Contrary to the moans of the extortionists, that wouldn’t mean the end of pro sports. As Scott Lewis points out, at Voice of San Diego, we would then be on track to replace sports socialism with true sports capitalism. And who can disagree with that?